Can You Solve ‘The World’s Hardest Word Search’ And Find The Dog? Apparently this is the world’s hardest word search. All you have to do is search out a tiny three-letter word, and yet finding the ‘dog’ is a task too great for some. It’s only 14 letters across and 14 letters down, but you can see why this word search is so challenging and that scamp of a doggo is so elusive. 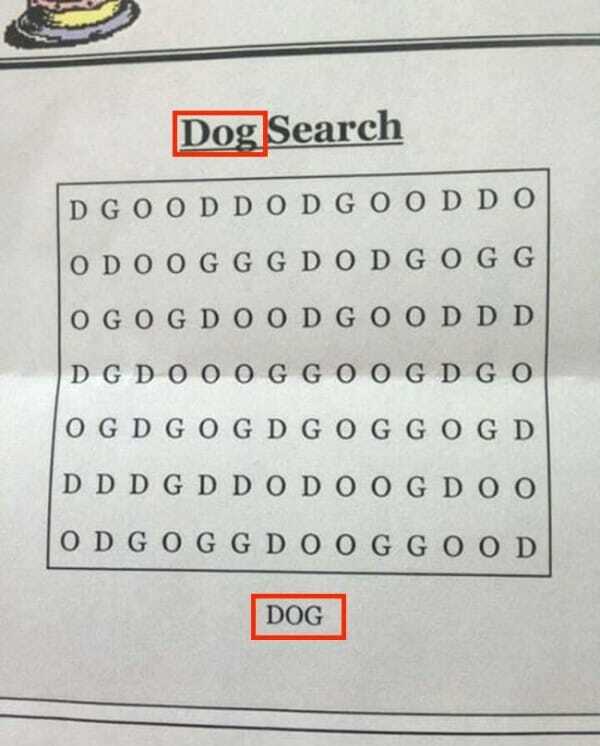 Before you claim you’ve found the answer by thinking outside the box – literally – the ‘dog’ is neither in the title nor underneath the word search, smartass. Flexing your brain muscles, you might have found the dog by now. If not, your efforts are no doubt taunted by the repeated appearance of the word ‘good’ – a damning contradiction to your word-searching skills. On the other hand, if you found the Dog on your own, well done. Pat yourself on the back and give yourself a treat because you’re a Very Good Boy.